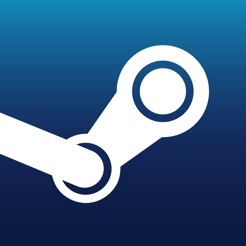 With the free Steam app for iOS, you can participate in the Steam community wherever you go. - Chat with your Steam friends. - Secure your account with the Steam Guard Mobile Authenticator. - Access your inventory, trades, and the Community Market on the go. With Trade and Market Confirmations, you can be sure that your items never leave your account without your approval. - See the latest screenshots and posts from your friends and the most popular content from across the Steam Community. - Keep up on the latest news and discussions from your favorite groups and games. - Remotely download and install your games straight to your PC at home. Fixed an issue where the app would get stuck at a login screen with no Steam Guard code after resuming from the background. It doesn't suppor video playing.